Porsche plans to return to rally racing with a 718 Cayman GT4 Clubsport R-GT Rallye. The car came about because of the positive response Porsche received on a rally car concept that it sent out into the world. Before the official car comes, Porsche did some testing with its 718 Cayman GT4 Clubsport-based concept race car. 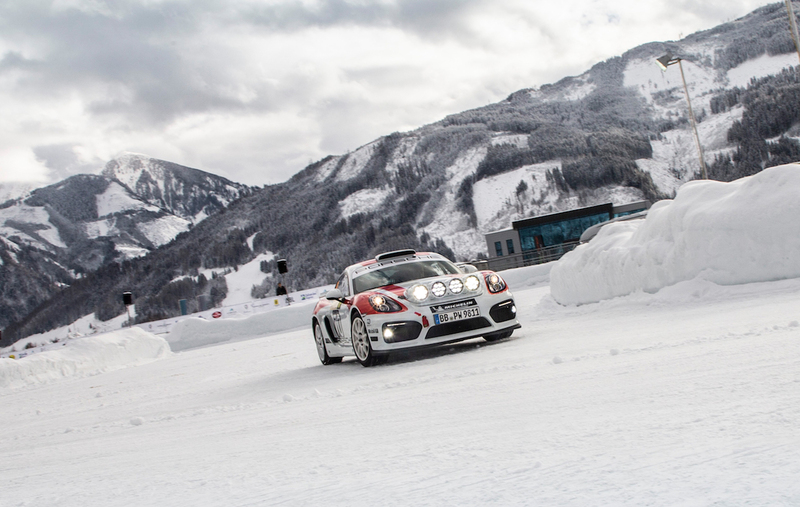 The company let racing legend Walter Röhrl get behind the wheel at the GP Ice Race in Austria. In the video below, you can see Röhrl whipping the car through the track on the very low traction surface. It’s a feat that not many of us could pull off. It’s simply a wonderful thing to see such a beautiful car handled with such finesse. Also, it helps that the vehicle sounds so beautiful. The car comes with a 3.8-liter flat-6 that makes 425 hp. The upcoming race car will be based on the new 718 and feature the car’s unique natural-fiber body panels, which help make it extremely lightweight. Porsche’s new rally car will compete in the FIA R-GT class when it’s finally finished. The car seen racing here is just the prototype and the testing was designed to help Porsche determine how to tweak the model for the actual production car. While the car in the video above is not the final production vehicle, it’s doubtful that many noticeable changes will be made. At this point, Porsche is just fine-tuning the model, and getting it ready for production. The company stated the car should come in 2020, and we can’t wait for it.